This handwritten section of Samuel J. 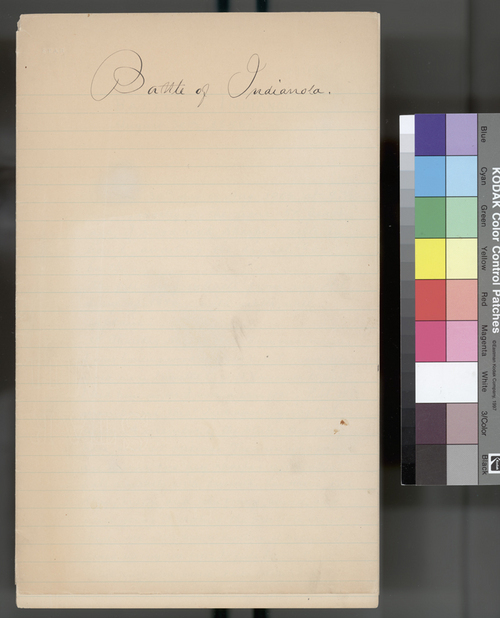 Reader's autobiography, which was based on Reader's diary from the same period, deals with the "Battle of Indianola," which occurred on August 30, 1856, near Indianola, in Shawnee County, Kansas Territory. Reader describes the day's events, in which no actual fighting occurred, when the local militia gathered to prevent theft and burning by proslavery supporters.